Daffodils, tulips or perhaps roses? Freshly cut or artificial? From heaven, really? Yes! Fresh cut roses straight from heaven. The Jewish nation is truly an awesome bunch of people. We just emerged from the joyous Purim holiday, in which we went out of our way to give each other, and whoever will just open the door. Mishloach Monos with tons of love and passion, be it a small kedem grape juice & homontash, or a gourmet meat roast and vintage semi dry wine to the new Mechutonim , all with one and only purpose, “Kiruv levovos”, bringing Jewish hearts closer together. 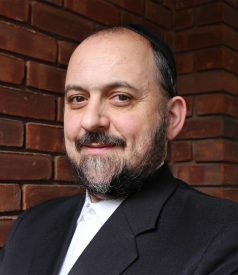 As a matter of fact, the poskim clearly state that if one left a best friend a M”M at the door without a name on it, and recipient can’t identify who it’s from, (perhaps it wasn’t on your status) the Mitzvah is not considered done since the main goal of increasing friendship among Jews hasn’t been reached. Oh boy, don’t even get me started on the “Pre Pessach giving bonanza” around the world. From Meah Shearim to Manchester, Williamsburg to Baltimore, Mexico city to Lakewood. Millions of dollars are collected and gladly donated to Hundreds of food and clothing programs for the needy, all with the biggest outpour of love, compassion, and farginning (come on, some words just have to be said in Yiddish) all for one and only reason: let our brothers and sisters enjoy the Yom-Tov just like us, in style, plentyfullness and family joy. But in addition to the grand and celebratory kindness we’re all practicing these days, for which we proudly deserve a thumbs up, we should nonetheless try to find and execute the smaller and simpler acts of kindness which will likely not get recognized by the recipient the next day, and will certainly not score a loud honoree add at the next Yeshiva dinner, but can have a deep and moving effect on the unrecognized neighbor down the block, and will also give us a great sense of pride and positive energy. Of course, when you’re just lucky to get to know what your act has accomplished its bliss time, but regardless, most these acts accomplish similar results even without us knowing the rest of the story. Let me share a little incident that happened to us this month, in which we were blessed to see the huge reward to a small act of kindness. We ordered a certain product from a nice lady who has a small home business, she was nice enough to order the product before we gave her a deposit, I assured her that I’ll bring a check for the full purchase amount before Shabbos. Friday afternoon as I’m leaving the house to drive to her, my wife tells me: “maybe buy her flowers for Shabbos, she’s an Almanah (a widow)” well, listening to a wife when the advice isn’t about getting her glitzy jewelry is usually a smart move. I drove to the flower shop got a fresh bunch of white roses and headed out. Upon arrival I rang the bell, introduced myself and was let in to the business section of the house. I hid the flowers behind my back and gave her the check, she gave me a receipt. Before leaving I handed her the flowers, these are for you! She blushed: that’s so nice, I’m shocked, why are you buying me flowers, are you doing this to all people you deal with? “No, I replied, only to the one’s I like”. She was very thankful and we wished each other a good Shabbos. Wow, I was taken aback, (shared with her it was my wife’s idea) and replied with some encouraging words, and yes, not only did she feel great, we did too. Wait a minute, an hour later I got a picture of her magnificent Shabbos table with the ‘flowers from heaven’ elegantly taking center stage and complimenting the beautiful table. While we can have a separate conversation weather or not I’m a great man, and if my wife is a lucky lady, there’s no doubt that a simple act of kindness can, and will, go a long way. Some of you may have heard that an Israeli company just sent up a small rocket to be traveling for few weeks about four million miles to get to the moon on April 11, yet sometimes we’re lucky to import a live Mitzvah straight from the high heavens in just few minutes. These days, in the spirit of giving and hosting, let’s just turn to our right or left and see if we can do some small “spiritual giving”, and Hashem will surely return his blessings to us for a happy and Kosher Pessach.